I enjoy finding unique or humorous signs, like this flyer once posted on campus. 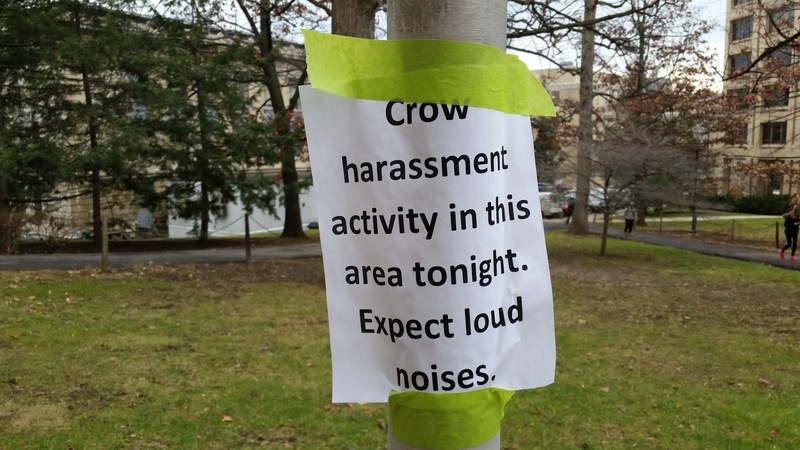 Apparently crow harassment is a thing. 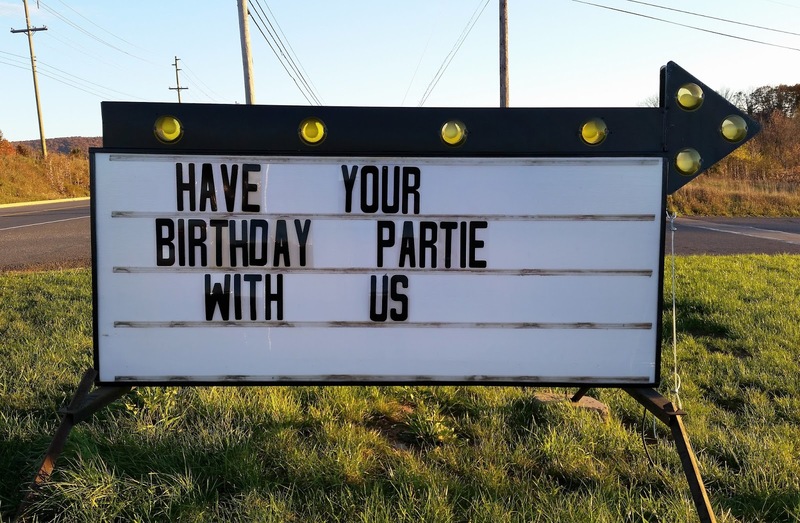 Then I found this gem advertising a local a bowling alley that might be a fine place to celebrate your birthday, but isn't recommended to check your spelling. And then there's this noteworthy sign -- a local favorite -- that I pass daily on my way home from work. Poor guy. 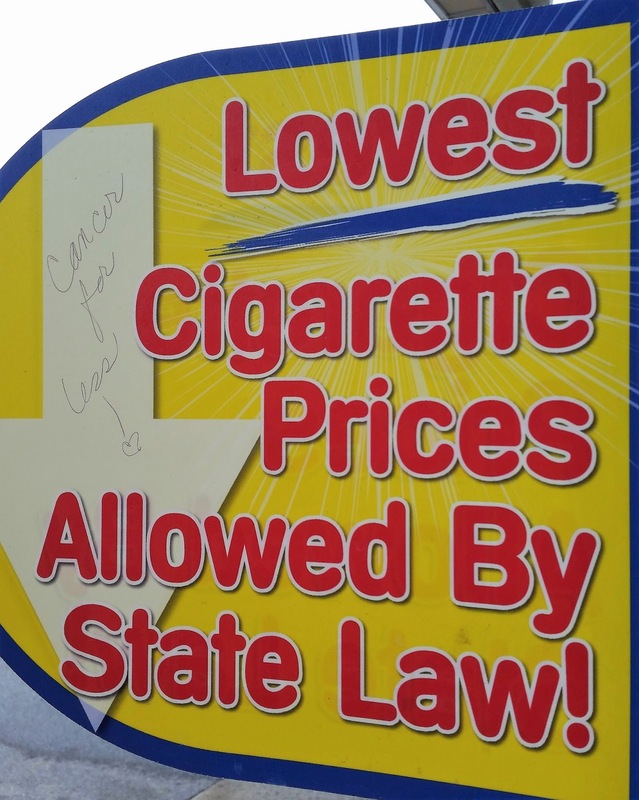 I laugh at signs, I take pictures of signs, I admire the humor of people who creatively alter signs, but I've never actually vandalized a sign myself. An opportunity presented itself, and with the possibility of becoming part of a legacy like 22 Times When Vandalism Won, I couldn't refrain. 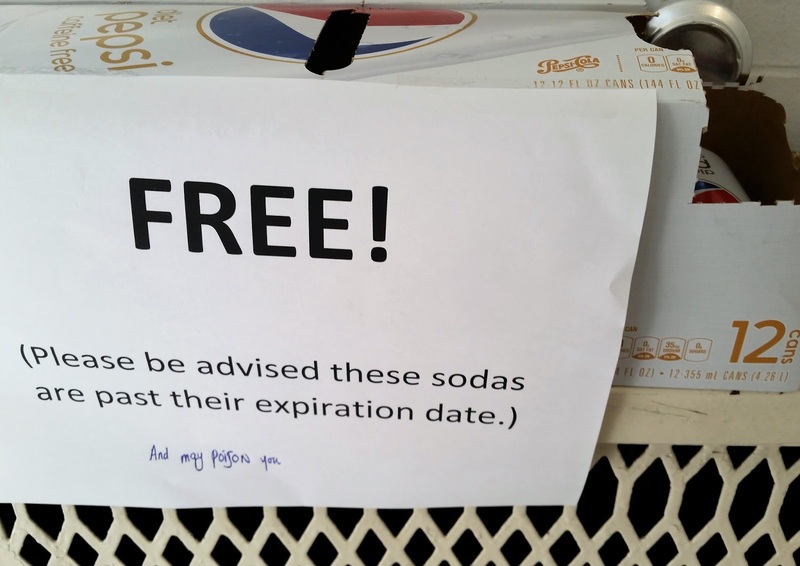 You see, someone had set a case of soda -- FREE soda! -- on a radiator at the bottom of a stairwell at an exit in a well-traveled campus building. It came with a disclaimer: Please be advised that these sodas are past their expiration date. Who does this?, I thought. Who wants to bequeath expired soda to a thirsty soul so badly that they'd go through this trouble, rather than, say, pouring it down the drain? My amusement grew each time I saw it. Finally, I couldn't contain myself. As I walked down the stairwell later that week and saw the case of soda, unsurprisingly still untouched since my first viewing of it, my heart began to pound. I was going to do it. 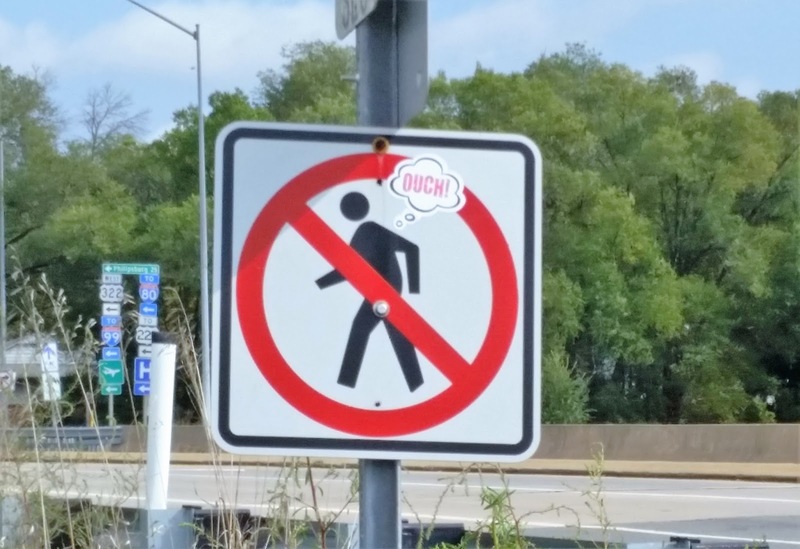 I was going to vandalize that sign. ... and may poison you. It wasn't even funny, and even worse, my mind malfunctioned mid-vandalism. How do you spell poison? With an oi or an io? My focus veered off course: what if I accidentally write Poseidon, as if the Greek god also disproved of expired sodas? Why does the word poison suddenly remind me of high school French class? Poisson means fish, right? Is it le poisson or la poisson? I never could remember which article to use! I tried to pull it together (Just write, Robin! Just vandalize! This is your moment of rebellion! 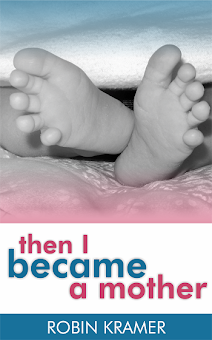 ), but my handwriting grew cramped, making my "s" awkwardly snakelike. The entire message was lackluster, small, and easily disregarded. I had failed. I missed my opportunity for vandalism fame. The next afternoon I noticed that the case of soda, along with the sign, had been removed. I hoped I hadn't hurt anyone's feelings. It had been a kind-ish gesture, after all, unloading eleven free cans of expired soda onto a warm radiator in a stairwell. But perhaps my vandalism still serve its purpose. After all, nobody was poisoned.